The Maid of Honor is a wonderful addition to a wedding! 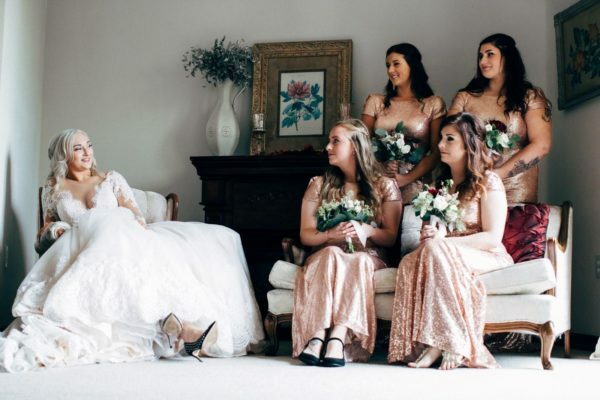 After all, the bride has chosen this woman to stand by her side as she vows her love to her partner. In addition to ensuring the bride is happy on her big day, the Maid of Honor is also responsible for giving a lovely speech during the wedding reception. You most likely have an array of memories with the bride, or the couple together. By sharing a fond memory, you can add a dash of fun to your speech, and even lighten the mood. This is a great way to start off your speech and grab the attention of all of the guests. How do you feel about the couple? Let them know just how much you enjoy their unique love for one another, and the many reasons as to why you feel as though they are a wonderful couple. They will certainly appreciate your kind words! With a long life ahead of them, the couple will go through many experiences together. So, send them well-wishes! Let them know what you wish for their future, such as love, happiness, children, and wealth. By writing a wonderful Maid of Honor speech, you can ensure that the couple will be pleased with your Maid of Honor speech! These are just a few tips to assist you with writing yours. In addition to preparing your Maid of Honor for her speech, you will also need to discover your wedding rentals in Grover Beach, California! So, please get in touch with us here at Butlerz Event & Beach Rentals, as we would be honored to assist you with selecting yours.